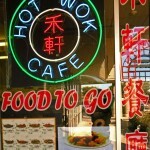 Very popular for Chinese take out food. They have a sit down restaurant too. You usually have to wait a few minutes because they cook the food to order, so it’s hot and fresh. This is a lunch-time favorite with engineers and contractors who work in the area because you get plenty of tasty food for the money.